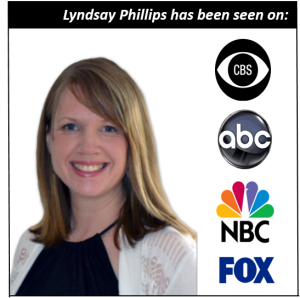 Lyndsay Phillips is a serial entrepreneur; self-professed organizational freak, client-appointed task master plus project ninja and warrior content marketer for life & business coaches, accountants and other online entrepreneurs across the globe. As the CEO & Founder of Smooth Sailing Business Growth & Smooth Business Growth Podcast– 15 Minutes Of Pure Marketing Strategies Proven To Move The Needle. She leads a rock star team to support entrepreneurs who are seeking fast-paced business growth but finally have come to the realization that they can’t do it alone, do it all, and do it well. She is also loves sharing practical tips, business building & content marketing strategies so that you can be more productive and attract more customers faster. Invite Lyndsay as a guest on your podcast show! She has been featured on Entrepreneur On Fire, Best Ever Show, Business Innovator Radio, Your Partner In Success Radio, Twelve Minute Convo’s and more! Email captain@smoothbusinessgrowth.com to submit your request. How does content marketing attract new clients? What are the best strategies to implement content marketing? What are some ways to grow your e-list and convert more customers? Content Marketing Is As Easy As A.B.C. Where should you start when looking to attract more people? Why is building relationships an integral step that is often overlooked? What are some your 3 best tips to convert customers faster? What exactly are sales funnels and how do they play into email marketing? How do sales funnels help grow your business? Where do I start when building sales funnels? How do nurture campaigns help build stronger relationships? How can having a podcast show help you grow your business? What are the 7 easy steps to starting your own show? What is the investment and work involved in having a monthly show? Why is building relationships so crucial to the success of your business? What are some tactics to build stronger relationships using social media? What are the top 2 content strategies to nurture relationships, build trust and convert?